Burnout is a problem that impacts on the staff management costs and on the patient care quality. 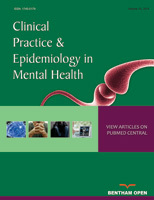 This work aimed to investigate some psychosocial factors related to burnout. Specifically, we explored the sample characteristics for moderate/high emotional exhaustion, cynicism and professional inefficacy, as well as the relationship between both working and environmental variables and burnout. A cross-sectional study involving 307 nurses from one Italian hospital was carried out. A self-reported questionnaire was used to collect data. Data analysis was performed by using SPSS 19.0. The results showed that there was a significant difference between nurses with low and moderate/high burnout in all the three components in almost all the examined organizational variables. In addition, we found that the aspects of working life had a significant impact on the three dimensions of burnout. The findings of this study not only can provide useful basis for future research in the field, but also can offer practical suggestions for improving nursing practice and promote effective workplace, thus reducing the risk burnout among nurses. Keywords: Burnout, Nurses, Organizational variables, Organizational empowerment, Work environment.